Mt Hotham Australia's No 1 Ski Resort & Highest Village. Dinner Plain Australia's only freehold property in the snow. Alpine Property, can promise you the perfect property in Mount Hotham and Dinner Plain. Our highly trained local real estate experts have in-depth knowledge of the area and can cater to any criteria. We are available 24/7 for any enquiries regarding buying or selling property in Mount Hotham and Dinner Plain. Mount Hotham and Dinner Plain are year round destinations. In summer the snow covered alpine peaks turn into unique flora and fauna and you will find some of the region's richest history. It's a great time to explore the surrounding Alpine National Park, with a range of truly iconic alpine tracks and trails you can access some of Australia’s best views. With loads of activities in summer, Hotham and Dinner Plain offer the perfect cool retreat. Take up one of the many activities available or get creative and make up your own. There is something suited to all fitness levels, age groups and interests everyone can discover. 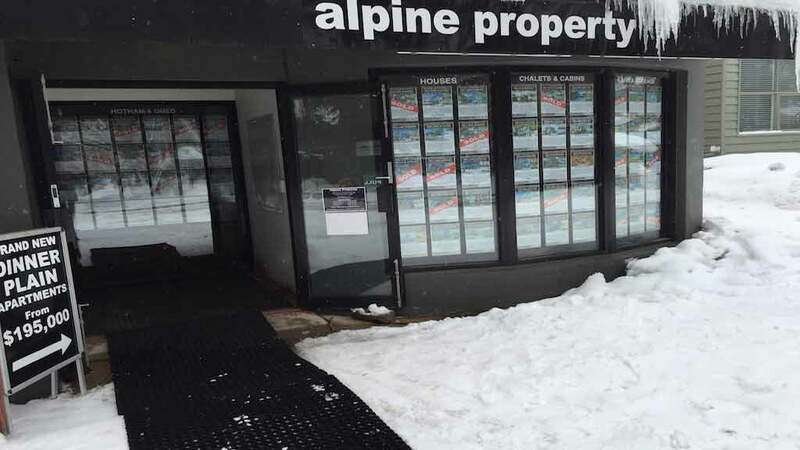 Alpine Property is a fully independent real estate agency focused purely on selling property at Mt Hotham, Dinner Plain and Omeo. Our agents are experienced local property experts who know the local property market. We work, live and play on the mountain. We do things differently and ensure that everyone who comes into contact with us is treated with respect and care. You will appreciate the little things we do and the attention to detail that make a big difference.